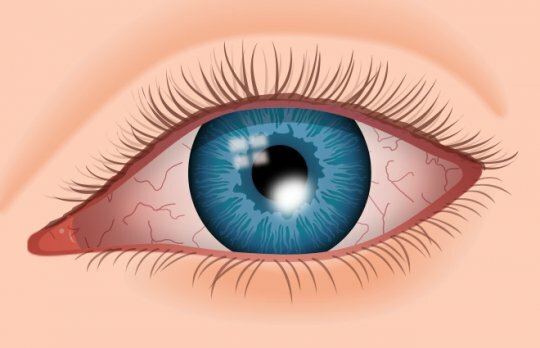 Going by many names such as “Eye boogers”, “Sleep” in your eyes, “eye gung” the eye discharge that accumulates in the corner of your eyes while you sleep is a protective function removing harmful debris from the surface of your eyes. It is normal to some degree, but when excessive could actually be a sign of a more serious eye condition, which in worst case could lead to a permanent vision loss. The following 5 serious eye infections could be the cause of your Eye Discharge and you should seek medical attention if prolonged. Especially people wearing contact lenses and not taking proper care are in risk of a very serious infection of Acanthamoeba Keratitis. 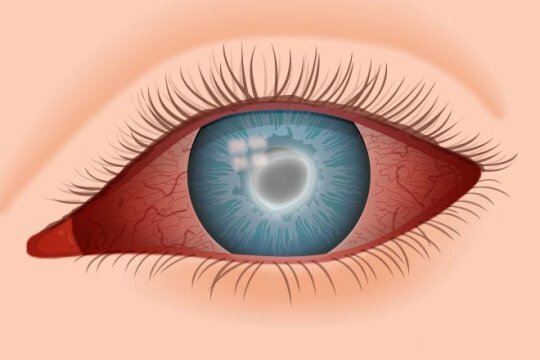 Living in tap water this amoeba or tiny parasites can infect the eye and cause permanent vision loss or a corneal transplant to recover vision. This is a very serious threat and anyone with contact lenses should be aware of. 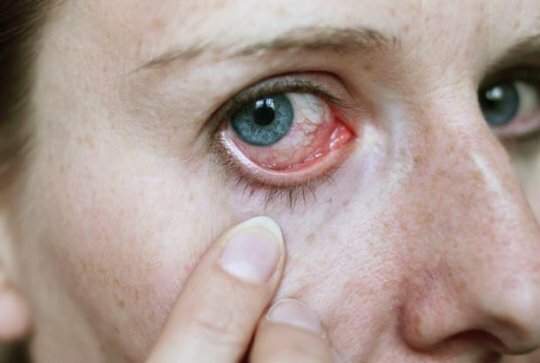 Eye herpes is a serious condition that can cause the scarring of the cornea. It is caused by the herpes simplex virus and can be transmitted through contact with a carrier person. 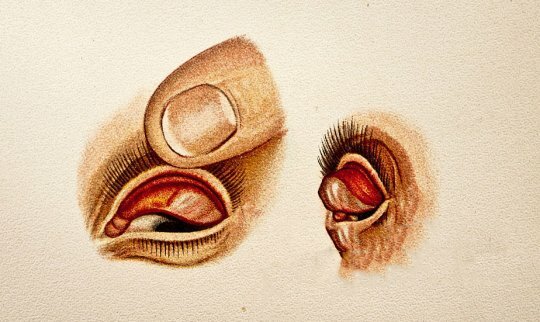 There are 3 forms of Eye herpes called, “Herpes keratitis”, “Stromal keratitis” and “Iridocyclitis” of which the latter one is a serious infection. Eye herpes is most commonly treated with steroid drops and can prevent corneal scarring from the infection. 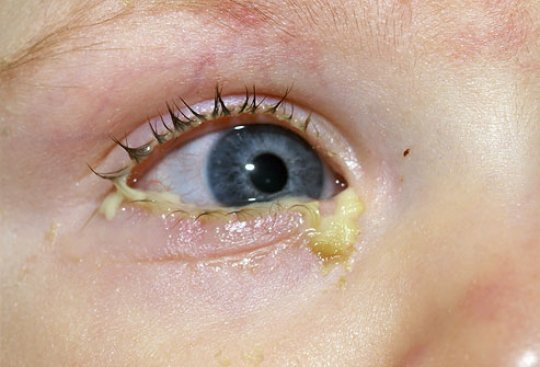 Also known as pink eye, Bacterial conjunctivitis can be a sight-threatening bacterial infection when not treated correctly. Pus-like green, yellow or even gray eye discharge can glue your the eyelids completely shut while you sleep. Very common eye infection in under-developed countries Trachoma can cause permanent blindness by causing the eyelashes to brush against and destroy cornea tissue. Spread by flies in unsanitary places Trachoma is a widespread and serious eye infection. Good hygiene is the key in avoiding this infection and it can be treated with antibiotics.